[PDF] Software Project Management: A Process-Driven Approach | Free eBooks Download - EBOOKEE! Description: To build reliable, industry-applicable software products, large-scale software project groups must continuously improve software engineering processes to increase product quality, facilitate cost reductions, and adhere to tight schedules. 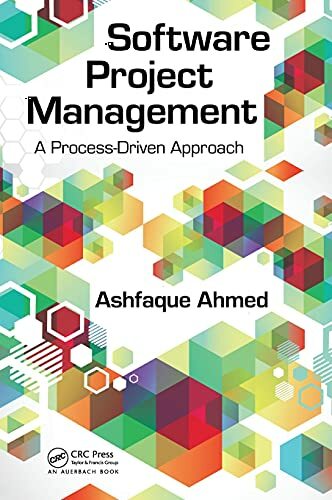 Emphasizing the critical components of successful large-scale software projects, Software Project Management: A Process-Driven Approach discusses human resources, software engineering, and technology to a level that exceeds most university-level courses on the subject. The book is organized into five parts. Part I defines project management with information on project and process specifics and choices, the skills and experience needed, the tools available, and the human resources organization and management that brings it all together. Part II explores software life-cycle management. Part III tackles software engineering processes and the range of processing models devised by several domestic and international organizations. Part IV reveals the human side of project management with chapters on managing the team, the suppliers, and the customers themselves. Part V wraps up coverage with a look at the technology, techniques, templates, and checklists that can help your project teams meet and exceed their goals. A running case study provides authoritative insight and insider information on the tools and techniques required to ensure product quality, reduce costs, and meet project deadlines. No comments for "[PDF] Software Project Management: A Process-Driven Approach".